My hands glistened with sweat as I prepared for the task ahead. Having removed any and all obstacles before the jump, I was confident that I’d safely land on the other side. I ran back half a screen in order to build proper momentum. As I pushed Mario forward, holding the B button to fill his P meter, a chorus of “Die! Die! Die! Die!” echoed behind me. I started from what I figured were 20 in-game feet from the bottomless pit. I closed in on 10. The P meter flashed, the portly plumber spread his arms and I braced myself to press the A button at just the right time. I brought my thumb down and missed. Instead of a round, red button I felt the hard, matte black surface of an NES controller. Cheers erupted as one of my cousins stuck her tongue out at me and snatched the device from my hand. My turn was over. 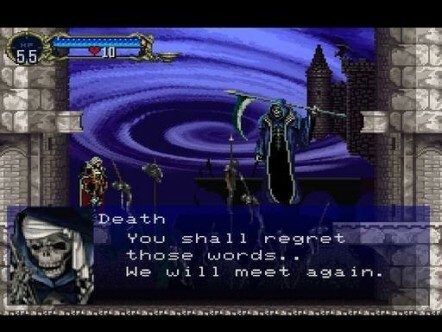 And Death would never strike more fear in my heart than it did that day, at least when it came to video games. I was 7 years old. Crowds of children watching and praying for my avatar’s demise were a constant source of stress for me from ages 5 to 13. It wasn’t that they were united in their solitary desire to see me fail (even though that was creepy as all hell). If and when their catcalls were victorious, I would lose my turn. Since then, no form of death could faze me in the digital world. And it’s not that developers haven’t tried. From injury mechanics that gradually and incrementally hamper your abilities to story-based cutscenes where valuable playable characters are forever lost, games are constantly searching for a new way to impress upon you the notion that, yes, the Grim Reaper exists in digital space. 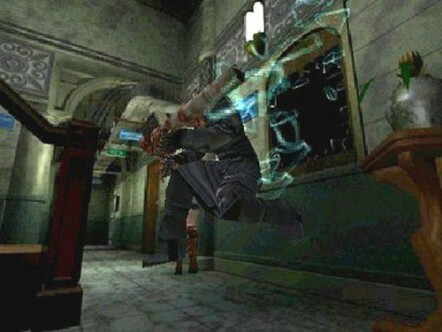 Remember the first time you saw Chris and Jill hold their ribs in the original Resident Evil? You probably thought they had stitches in their sides, huh? Well, you quickly found out that if you didn’t keep either STARS member in tip-top shape, the next ill-fated zombie encounter could turn that stitch into an excruciatingly slow limp, which meant those re-animated corpses may as well have been cheetahs for gameplay purposes. Sure Nemesis was creepy, but those gnarly tentacles don’t get as much credit as they deserve for his overall aesthetic. Infrequent save points are something old games had going for them. 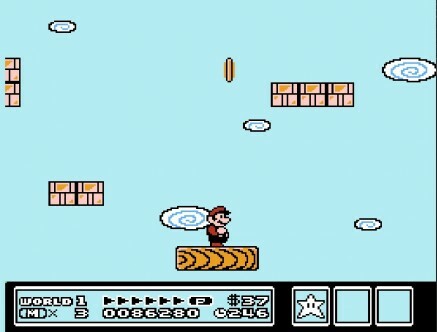 Failure had consequences — if you were ever unfortunate enough to see a “game over” screen, you knew all the effort you just expelled was for naught. Even Super Mario Bros., that irrepressibly cute and seemingly innocent platformer, held a certain regard for death. Run out of lives and you were kicked back to the beginning of whatever world you were on. 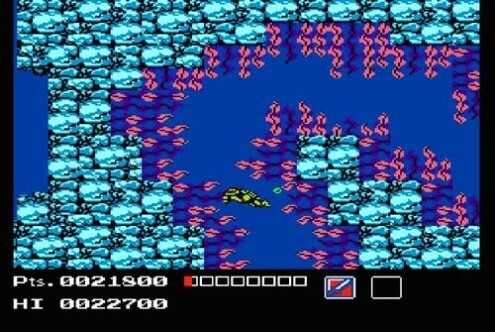 Ninja Gaiden took it one step further: die and you’d have to play through the entire game again. 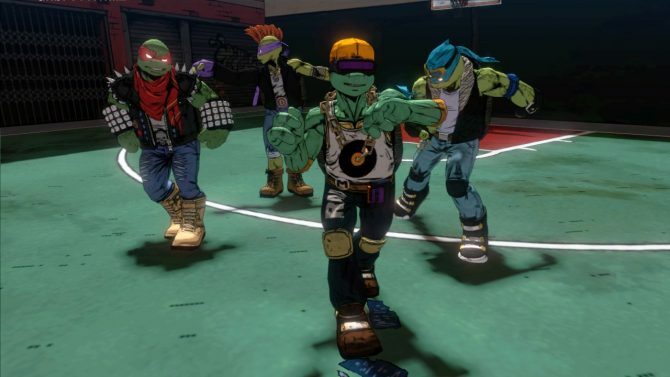 And don’t even get me started on the original Teenage Mutant Ninja Turtles for NES. Did you cry when Sephiroth impaled Aerith with the Masamune in Final Fantasy VII? 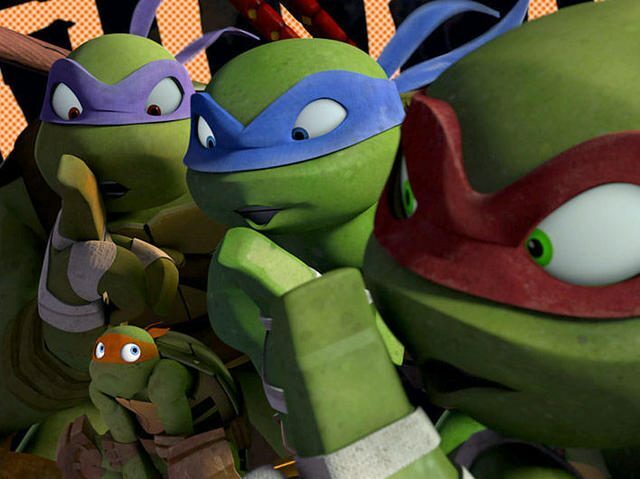 I felt the same way whenever I lost Donatello to electrified seaweed. In both of those last two titles, the death of a character meant he or she was gone for the rest of the adventure. As far as RPGs go, it’s still a bit strange that members of your party can suffer everything from beast maulings to gunshots and stab wounds from battle but as soon as it happens in a cutscene it’s “game over.” Then there’s Phoenix Downs and other such reviving items. Can you say cheap? After all, it’s not as if we get second chances in real life. 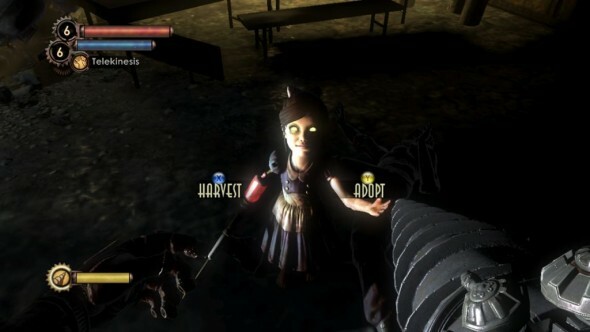 What would you give for one of Bioshock’s Vita Chambers? Just imagine what those beauties could do for the construction industry. Work-related deaths would be a thing of the past. Just install a Vita Chamber on-site and, should anyone fall to his or her death, they’d re-spawn inside the device ready to install another rivet. It’s not just death looming over you in Bioshock, either. You assume the role of executioner during many sections of the game, most notably when the Little Sisters come into play. You can either save them and send the girls back to Brigid Tenenbaum, who plans to collect them and free them above the ocean’s waves, or you can harvest them to get more of that sweet, sweet ADAM. Each decision has its consequences and rewards. Harvesting the Little Sisters nets you a substantial amount of ADAM, making progress earlier in the game easier. But saving the girls wins you their gratitude, and although the immediate ADAM gain is smaller, over time the girls leave care packages containing the stuff. It’s the classic short-term gain over long-term consequence mechanic that gives weight to the choice of whether to kill or not at work. Speaking of Bioshock, did anyone really have trouble attaining the “Brass Balls” achievement or trophy? You know the one I’m talking about: It’s where you play through the entire game on the hardest difficulty without using a Vita Chamber to respawn. It sounds tough in theory. Too bad you can save literally anywhere in the game. For anyone willing to spend as much time looking at a save screen as they would hunting Splicers, this achievement would be a cakewalk. The same thing applies in Fallout games. The ability to save most anywhere runs a bit counter to one of the series’ most enticing elements. Whether you’re travelling the village of Arroyo in Fallout 2 or strolling through a Powder Ganger camp in New Vegas, there’s a certain reputation you want to maintain, whether it be dastardly or heroic. Performing deeds for the benefit of a community earns you positive karma and reputation while murdering its citizens in cold blood does the exact opposite. Ready for the loophole? If you manage to commit a heinous act out of sight, it’s all good. As long as you’re in “sneak” mode, you can get away with the most horrifying things, even if it’s in a densely populated building. But developers must have taken care to address this in the series’ newest titles, right? Nope. 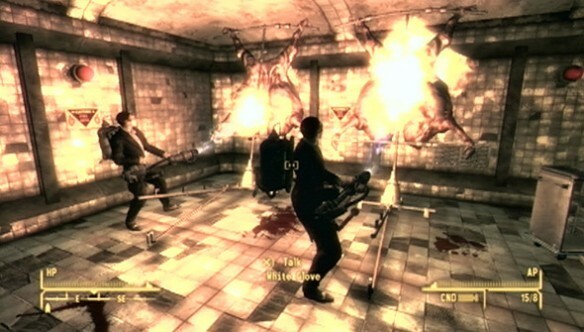 In New Vegas, you can systematically murder ever member of the White Glove Society without consequence as long as you do so from the shadows (or while your Stealth Boy is on) with a silenced pistol. When it’s all said and done, you can make it out of the building without a a negative impact to your karma. It’s also strange that nobody comments on the fact that there’s a heap of dead bodies in the middle of a room full of guys dressed like Buzz Killington. But there’s no franchise that cheapens the role of Death than — what else? — Castlevania. 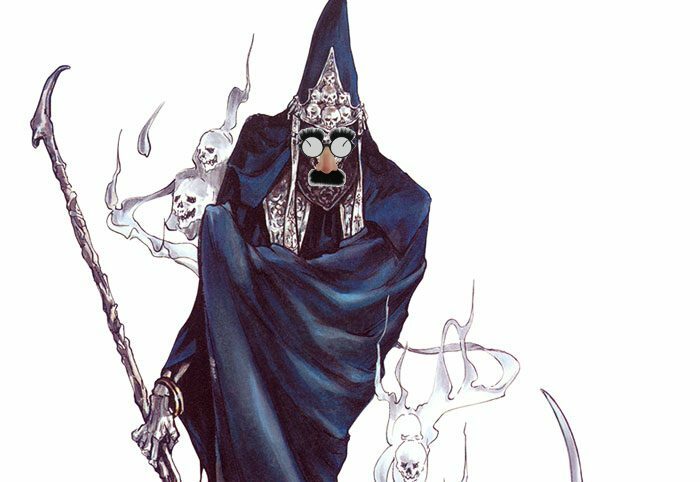 Not only are checkpoints and healing items abundant in the series’ most recent installments, but the Grim Reaper himself is often one of the last bosses you’ll encounter. And once you’ve defeated Death, what’s left? Well, if television has taught me anything, you’ll need to terrorize a plane carrying teenage soap opera stars to set things right. So how can modern games instill a fear of death in our hearts? I’m not sure there are many players who would put up with mechanics that would do the trick. Would anyone play a game that punished you by starting at the beginning after a game over? Is there a development team ambitious enough to create a game that forces you to play through the afterlife upon death in order to return to the mortal world? Maybe it doesn’t necessarily need to be fear. What if, instead of re-assuming the role of Mario every time you run out of lives you came back as a Koopa Troopa or a Lakitu? 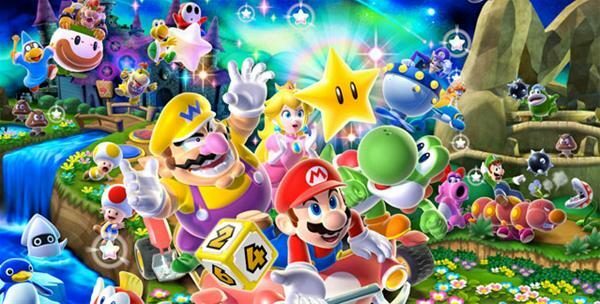 Turn the Mushroom Kingdom into a Buddhist paradise of reborn enemies and heroes. After all, I’ve given up on regarding death as a source of fear when I play games. Can you blame me? What virtual experience could possibly scare you more than a throng of kids ages 4 to 12 cheering for your failure? Capture that in code and I’ll gladly give it a go. On second thought, there’s one franchise where a bonafide death may rattle my cage. Pokemon. Whenever you defeat a monster in the wild or battle, it merely faints and retreats to its Pokeball. When your character runs out of usable monsters, he or she faints and awakens at the nearest Pokemon Center. If once, just once, we were to see the charred remains of a Bulbasaur for whom Blast Burn was just too much or a Bidoof slaughtered and feasted on by a murder of Murkrow — you’re a liar if you claim you don’t want this — I may be convinced death (or at least gore) in games could affect me once again. 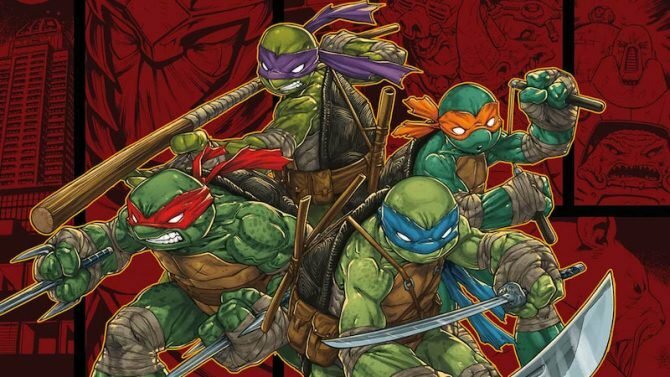 Is Activision Working on a Video Game Based on Nickelodeon’s Teenage Mutant Ninja Turtles Series?